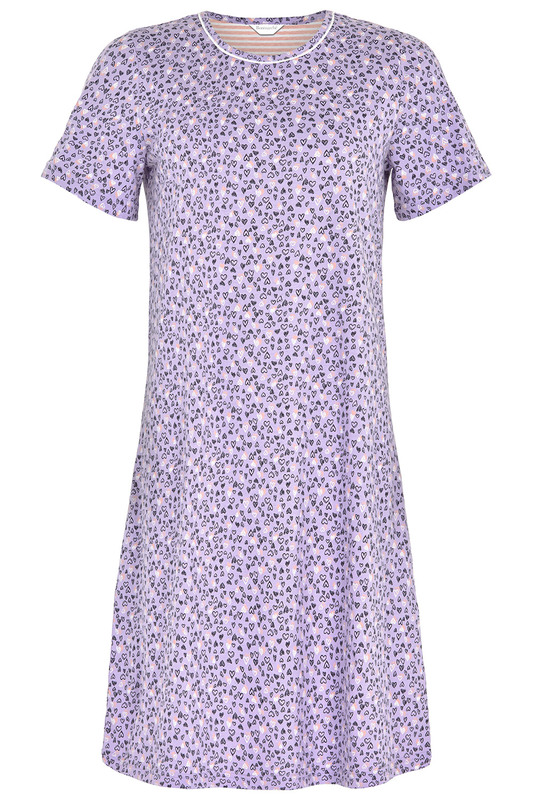 Add a little love to your sleepwear with this round neck nightdress, which is decorated with an all-over heart print. Made from pure cotton, it is both soft to the touch and breathable. A relaxed A-line cut provides a comfortable fit and has a flattering silhouette. 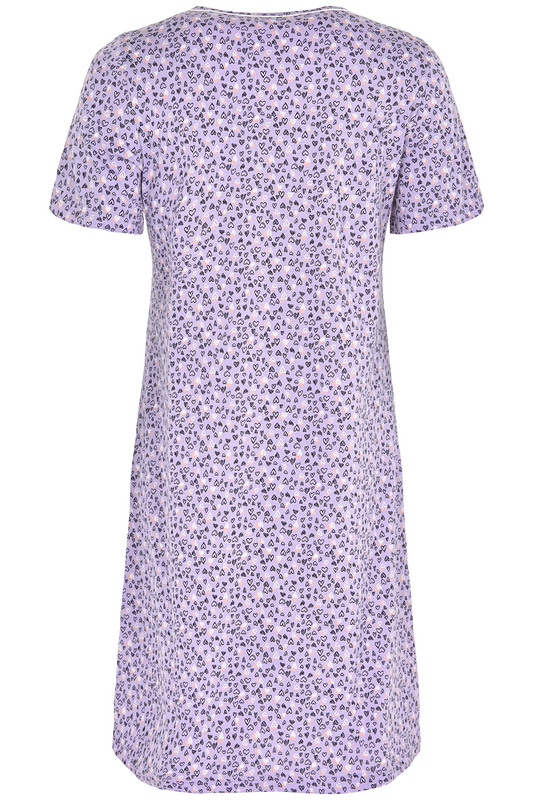 With its short sleeves, it is a cool option on warm evenings. When the temperature drops, layer yours under a cosy dressing gown.